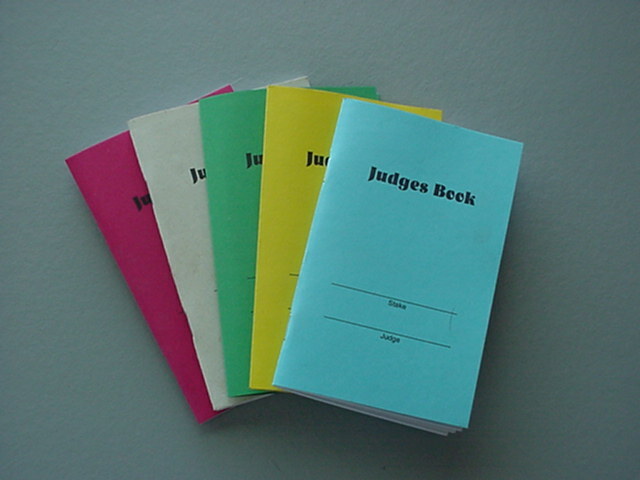 Available in a variety of colors; these books are small and handy. They fit right in a shirt pocket or saddle bag, and if filled out properly will, at the end of the stake and in almost every case, tell you who wins and who loses and why. This is a copyrighted all-breed book based on the American Field model plus the Continental breeds retrieving requirements. 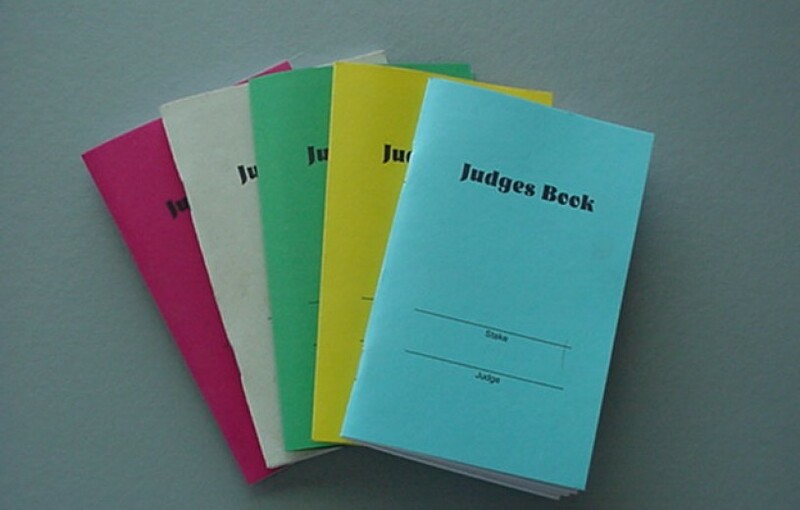 Instructions and definitions are included front and back, plus a simple, quick check-off system of all fundamental requirements make this a necessity for your field trial, especially for the new and/or inexperienced judges, or just to give consistency to the judging process. Copyright © 2019 High Desert Shorthairs. All rights reserved.